It is common knowledge that over an extended period of time, most bands will succumb to their age, and eventually break up, citing any number of reasons. Take for example the Allman Brothers, who recently announced that this would be their last year touring, or Green Day, who have been delaying the inevitable for their last three or four releases (Sorry guys, I love Dookie as much as the next guy, but that album trilogy was pretty horrendous). Apparently, AC/DC is not one of those bands. Earlier today, Rolling Stone reported that frontman Brian Johnson has confirmed that the rock legends will begin working on a new studio album this upcoming May, and shortly thereafter embark on a 40-date world tour. This will be the outfit’s first release since 2008’s Black Ice, which debuted at number one on album charts across 29 different countries, and their first time on the road since 2010. “It’s been four years, and I’m really looking forward to it,” Johnson said. 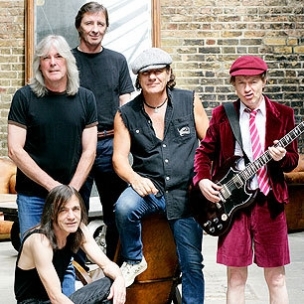 Though additional details are scarce at this time, keep checking back with UTG in the coming months for the latest updates on AC/DC’s forthcoming effort.